If you’re not ready for all those apple and pumpkin recipes signalling the coming of fall, you’re going to love this twist on the classic Gin & Tonic. 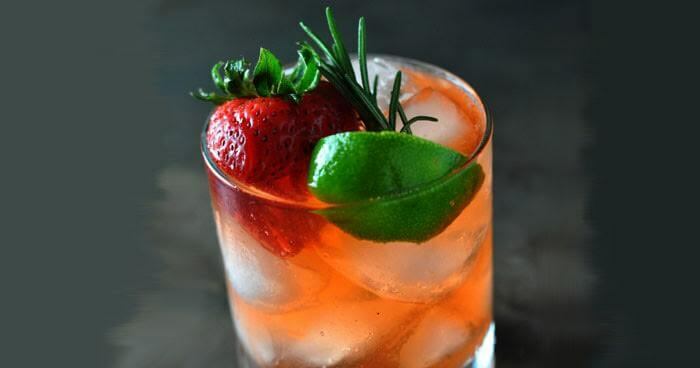 Alice Seuffert of Dining with Alice shares a refreshing, smooth and sweet Strawberry Gin & Tonic recipe that will help you hold on to summer just a little bit longer. These cocktails get a delicious burst of summer flavor from homemade strawberry syrup. If you’re a strawberry fan, you’ll definitely want to mix some extra syrup to stir into lemonade (maybe with some vodka), soda water or to drizzle on pancakes. Fall may be right around the corner, but we don’t need to say goodbye to summer’s fresh flavors just yet. ABOUT ALICE: Alice Seuffert is a Minnesota mom, wife, education researcher, and blogger at Dining with Alice, where she shares her food and family adventures. 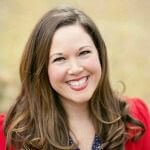 She works full-time as an education researcher for a Twin Cities nonprofit organization. On her blog, she shares her adventures making creative comfort food, her experiences as a mom, and fun activities like enjoying craft beer. Alice is the Kitchen Star on the Twin Cities television show, Twin Cities Live and is known for her creative comfort food recipes and tips for busy parents.